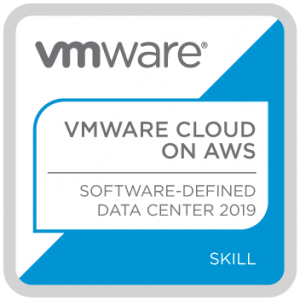 In an update from my previous VMConAWS post, where I stated that VMConAWS’s minimum cluster size was four hosts, VMware have now unveiled a new Single Host VMware Cloud on AWS SDDC (vSphere+ vSAN+NSX on AWS bare metal) to help kickstart your VMConAWS experience, reducing the cost of the single host to less than a quarter of the price of a four node cluster. The new consumption model is designed to provide a cost effective, 30 day trial of VMC that you can spin up to a full enterprise solution (minimum of four hosts) while retaining any workloads from your single host. It is worth noting that at present, there is no way to extend the 30 day trial, so after this date your host will be reset, although you could then purchase another 30 days. Does a 30 day service life host mean reduced support from VMware? No it does not. You will continue to receive the same unlimited 24/7 support from VMware’s Global Support Services (GSS), including 24/5 live chat support for your technical queries and on-boarding. You can be forgiven for thinking this as a single node vSAN is not a supported configuration on-premise. A single host SDDC has the same migration capabilities as the 4 node cluster, so per my previous post, Hybrid Cloud Extension (HCX) for bulk migration, vMotion for live migration, and cold migration of powered off VMs. The new Hybrid linked mode is still present as in the 4 node cluster for that single pane of glass across your on-prem and cloud environments. vSAN as you would imagine does not have the High Availability (HA) features of the 4 node cluster, requiring a minimum of 3 nodes for this, but for the purposes of trialling VMConAWS, many customers are willing to take that risk, as they have the option to add all of the HA goodness should they upgrade to a 4 node solution. The ability to configure your own storage policies is there, but has the limitations of a single host and will have a primary level of failures to tolerate (pFTT) value of 0.
vSAN performance is still at its maximum as we’re using All-Flash NVMe storage for both caching and capacity, and you can of course still consume AWS services such as Redshift and Glacier with high bandwidth low latency connections. VMware Site Recovery is offered as a cloud-based addon service charged on a per VM basis, with DR being a popular use case. Is it difficult to upgrade from a single host to a four host cluster? It is literally one click in the web console which will then spin up the remaining three hosts. Note this is the only time that your storage policies will be altered by anyone but you, as RAID5 with erasure encoding and a pFTT of 1 for increased data protection is implemented.